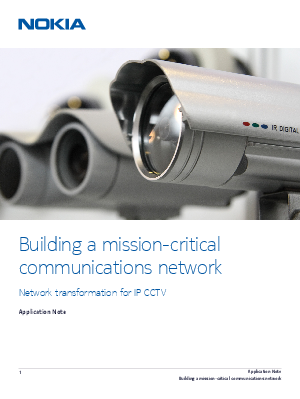 Industries and governments have long used closed-circuit television (CCTV) systems in their mission-critical operations to monitor sites and industrial processes, as well as protect assets and human lives. The application transmits video signal from cameras mounted in areas that need monitoring, such as rail and metro stations; airports and ports facilities; oil rigs and pipelines; utility substations and other remote stations. Today, with public safety being a top concern, it is no longer just the operators who need to view the video feeds. Other government agencies, such as municipal police, regional and even national agencies also need to increase situational awareness when responding to incidents and use video analytics applications for incident investigations.